This is a country of contrasts and surprises and one I very quickly fell in love with. There is so much to pack in here, every couple of hours you feel like you have arrived in a new country. If you want the headlines, I’ve written up ten best things to do in Sri Lanka. From the lush green tea fields of the hill country through to the much warmer, and blissfully peaceful beaches of the south with old forts, wildlife safaris and rich traditions thrown in, don’t underestimate how much time you need to explore the country formerly known as Ceylon. 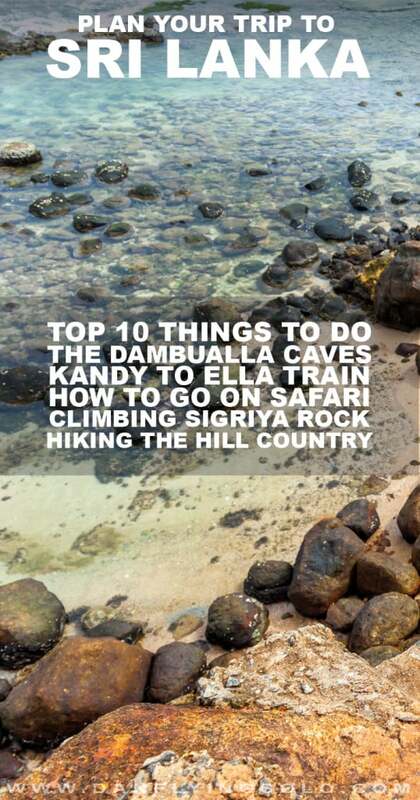 I hope this in-depth Sri Lanka travel guide will help you plan an incredible adventure to this Island that is slowly gearing up for a tourism invasion. As always, if you have any questions, just give me a shout. You need at least two weeks to explore Sri Lanka properly – the transport and infrastructure here although developing, is still not quite to the level of some of its neighbours.My personal favourites were taking the Kandy to Ella train, seeing Elephants in the wild on Safari and exploring the beautiful hill country. The beaches can’t be missed in the south coast and you are sure to discover one that is near empty. My personal favourites were taking the Kandy to Ella train, seeing Elephants in the wild on Safari and exploring the beautiful hill country. The beaches can’t be missed in the south coast and you are sure to discover one that is near empty to spend the day killing time on. 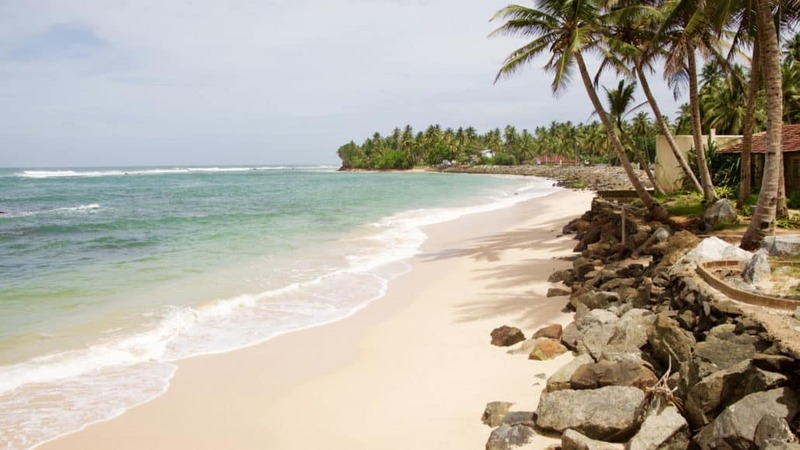 Whilst beaches nearer to Galle and Unawatuna are quite developed, drive along the coast towards Mirissa and Matara and you can have a whole stretch of sand to yourself. The most famous of Sri Lanka’s UNESCO sites are all within easy rich of each other and offer some impressive architecture and ruins to explore (see more below). You are truly spoilt for choice when it comes to wildlife in Sri Lanka. Yala National park, home to Leopards, Monkeys, Elephants and more offers a safari experience cheaper than African counterparts whilst Whale sea safaris are a must do in Season. 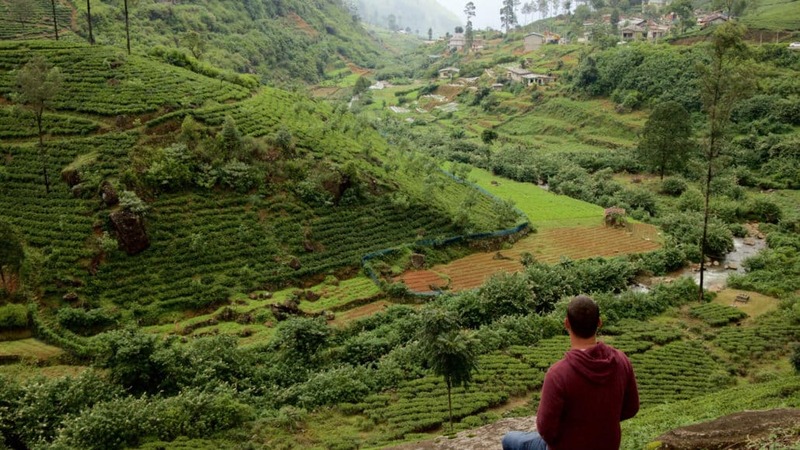 The hill towns, especially around Ella and Nuwara Eliya are home to many tea plantations. Visit factories, go on tastings and take in the breathtaking green vistas. This trek isn’t for the faint-hearted, but the views are well worth the early morning rise to take this sacred summit. The second capital of Sri Lanka offers some impressive ruins and archeological sites, with many similar UNESCO attractions in the country, those short on time could opt to only see one or two. 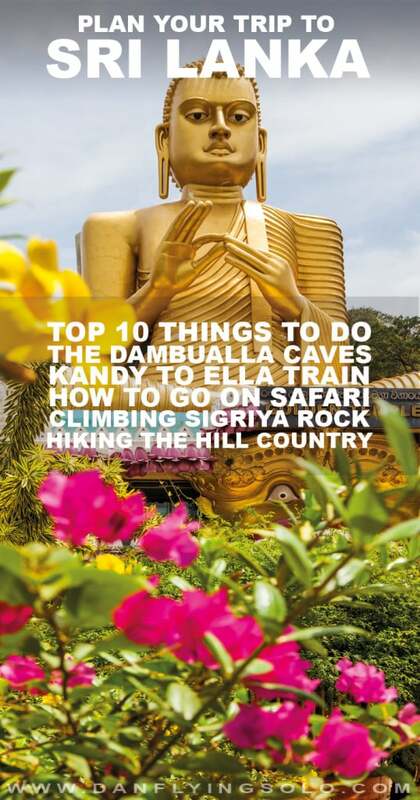 These five intricate rock temples, behind the large Golden Buddha of Dambulla are easily reached from Sigiriya. In the dark light it is a struggle to make out how beautiful the art work truly is. The heart of Sri Lanka for many years, if you only visit one UNESO site in Sri Lanka this will likely be it. Impressive collections of buildings and history colide here and offer a glimpse into a history over 1000 years old. This dutch fort town is worth a day to explore and wonder around. The small streets offer up churches, cute cafes and some fine dining options whilst new town Galle has the main train station in the south. With rolling green tea fields, colder temperatures and mountains in the clouds, the central highlands are a complete contradiction to the rest of the island. 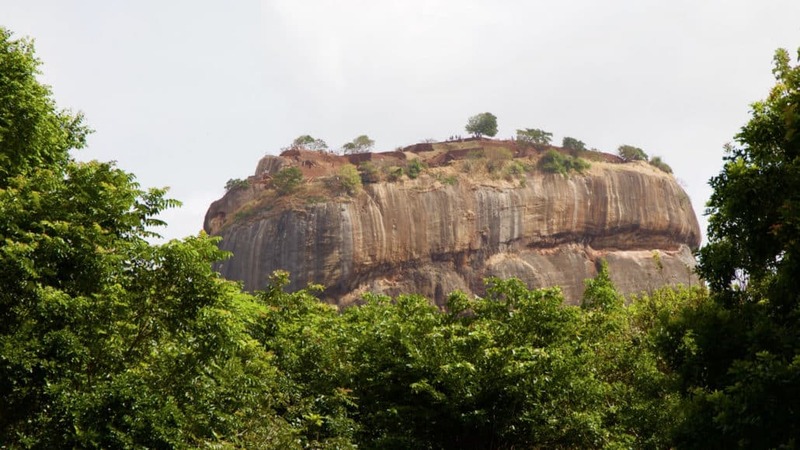 The Lions Rock, with the relatively detsoryed ruins of the citadel on top not only offers incredible views but gives a fascinating insight into historic construction methods, especially given how the water used to be pumped up to the top. Home to the temple of the Tooth, this off-beat city surrounded by hills didn’t really capture my inspiration but the temple is one of the most visited attractions in the country. A lesser visited Sri Lanka UNESCO attraction, the Sinharaja Forest is a biodiverse national park located not far from Galle, one of the last remaining rainforests in the country. This train journey has quickly become a popular tourist attraction and with only a few journeys a day, touts have sadly latched on to buying out many tickets in advance and selling at a premium. This national park witness one of the most impressive Elephant gatherings I have ever seen. With around 300 elephants departing the dry north between May to September this national park becomes a must do Safari. 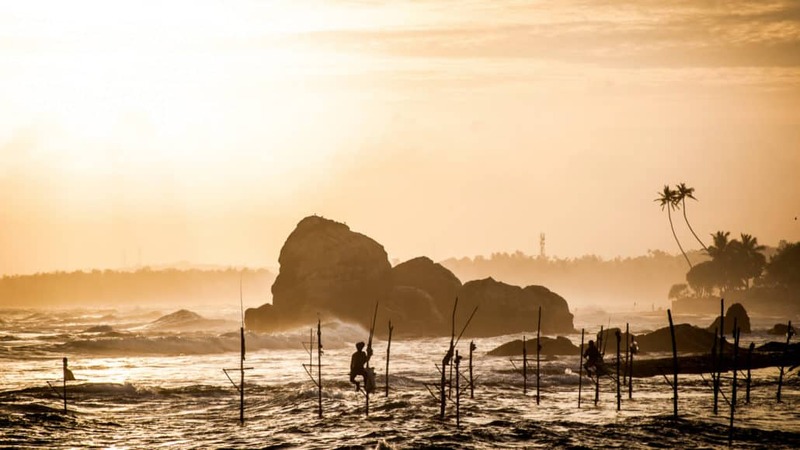 The traditional method of fishing in Sri Lanka involves balancing on a wooden rod in the ocean to get your catch. Nowadays, it has become much more of a tourist attraction with men posing and wifes collecting ‘donations’. I kept driving past these shows and found a lonely spot further along the coast where a couple of fishermen with no watchers were still practicing this beautiful method. 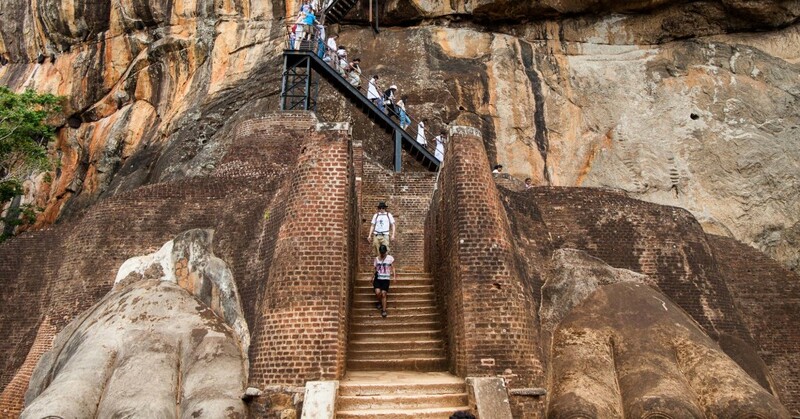 In the north of Sri Lanka the remains of the this secret miliaty tourist base for the Tamil Tigers has recently surfaced as one of the more odd ‘tourist attractions’. 4. The most scenic rail journey in the world? I usually recommend booking your accommodation on Hotels.com due to their great loyalty scheme and book ten, get one free system. As with much of Asia, Agoda actually has a selection of properties that aren’t available on other sites so might be worth taking a look at. Sri Lanka is a relatively small country, and one to two nights is usually plenty in most locations. If you are doing a Safari or visiting a UNESCO site there isn’t always that much more to do. I’ve hand picked a couple of my favourite places below. Situated on the nearly empty and pristine beach of Habaraduwa, with palm trees and ample relaxation the pool is literally on the beach as are many of the boutique rooms. 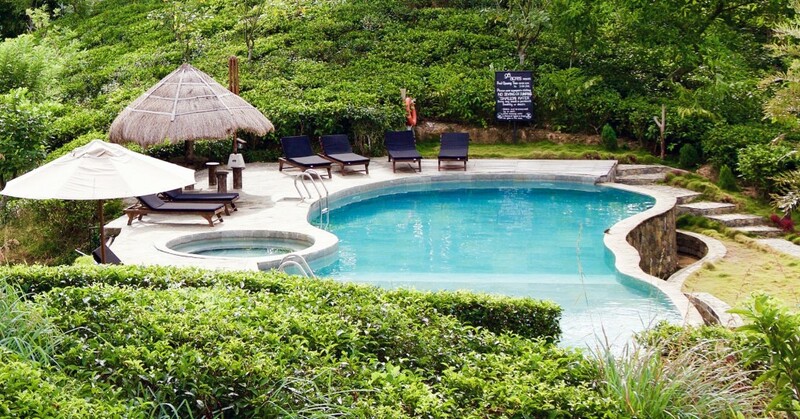 It’s a good base to explore Unawatuna or even Galle Fort. Photos can’t do this place justice. Surrounded by acres of tea fields and with stunning views across little Adams peak these stilt perched huts are one of the most relaxing escapes in the whole country. 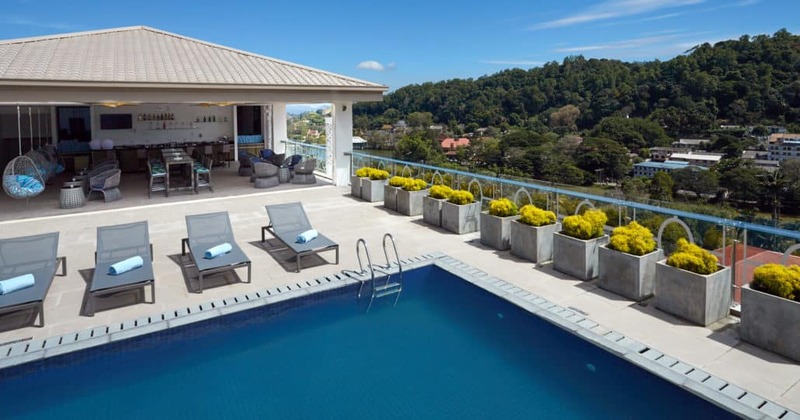 Kandy is a funny little town and somewhere you might want to give an extra day, so taking a hotel with facilities and a rooftop pool isn’t a bad call. This modern hotel, perched above the city, isn’t traditional but is a good option for unwinding. Sri Lanka has one main airport between Colombo and Negombo – its a pretty old place and one of the only places I have ever seen washing machines and hoovers for sale in the arrival area. Sri Lanka is a bit of a nightmare for public transport. The buses and trains between Colombo, Galle and further on to Matara are pretty good but bus usually faster. There are also domestic internal flights which can connect you with some of the harder to reach parts of the island. 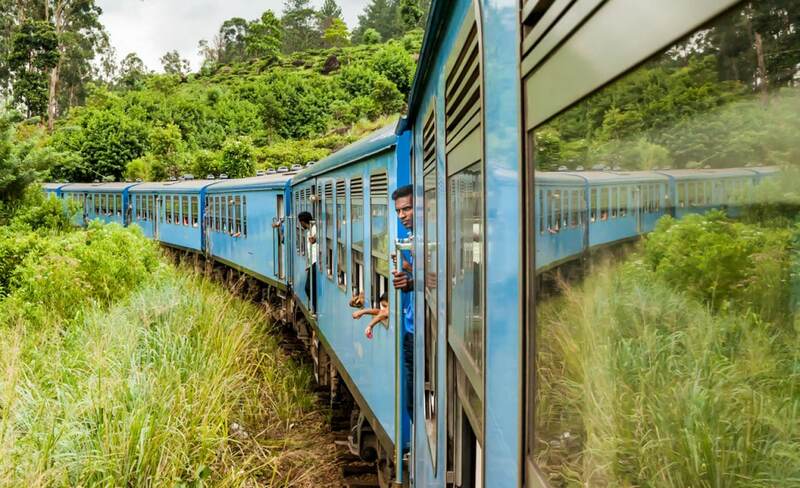 The Kandy to Ella train is a must do, although it takes 7 hours to do the whole journey. For most buses in the more remote parts it is best to ask in local shops for where/when they operate as timetables can be pretty flexible. Sometimes, you may opt to go for the private driver route for certain legs which was what I did to get from Ella down to Mirissa to save time – the cost is not that big. Sri Lanka is a genuinely safe place to travel and you will be met with more intrigue, especially as a solo traveller, than any threats. That said, here are a few basic tips to help your trip run smoothly. Bottled water is readily available and you should never consume the tap water. Always make sure the seal on the bottle is secure before drinking it. 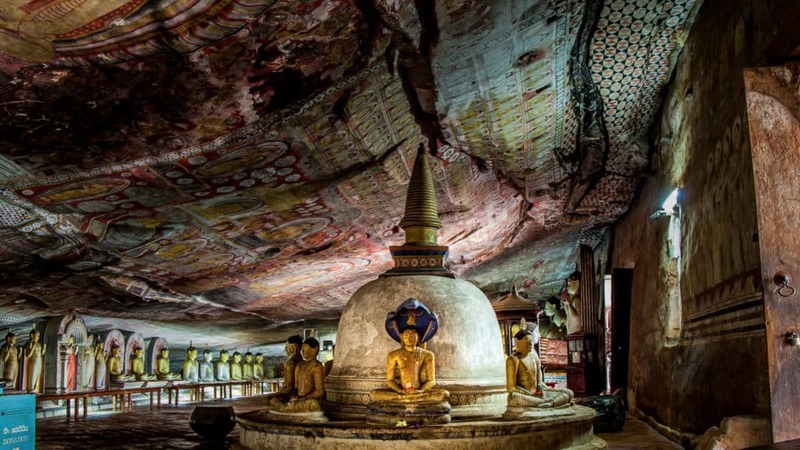 Sri Lanka has a mix of religions, with the main belief system being Theravada Buddhists with Hindus, Muslims and Roman Catholics making up most of the rest of the population. Certain pockets of the country are focused more to one of the minority regions so be mindful of any local events that may be taking place due to the religious calendar. The 25 year civil war is still evident in some parts of Sri Lanka and is something to always be mindful of in your actions and behaviour whilst travelling around Sri Lanka. Dengue Fever is a risk factor here so wearing deet/using repellent coils at night is recommended. Malaria tablets won’t stop the chance of this so be sure to take precautions. Women should take greater care if offered drinks, spiking has been reported as has verbal sexual advances. In such a lovely and welcoming country it can be easy to let your guard down but be mindful at all times. Only use ATMs if possible in the bigger cities when actually connected to a bank building, card fraud has been on the rise. If visiting the north of the island, which was closed off for some time, you no longer need a special permit. Military activities are obviously present here so filming and photography of sensitive sites is strongly advised against. In parts of the country there is still a risk of minefields so ask locals and stay on marked paths. More information on safety aspects of different regions can be found here. When visiting temples be mindful of the standard etiquette. Shoes should be removed, cover shoulders and legs and remove any headgear such as hats. Having your back to a buddha is disrespectful, even for a photo so keep this in mind. It should also be noted visible tattoos of Buddha should be covered at all times anywhere in the country. The Kandy to Ella train: The worlds most scenic rail journey? 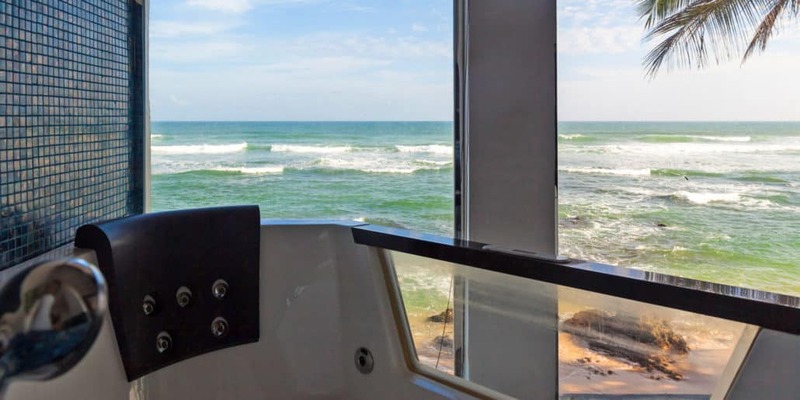 Sri Lanka is a relatively small island, but the costs will vary depending on whether you are in the developed coast or places such as Ella or have ventured off into the less chartered territory. As such, please take the cost prices as a rough guide only from my personal experience. 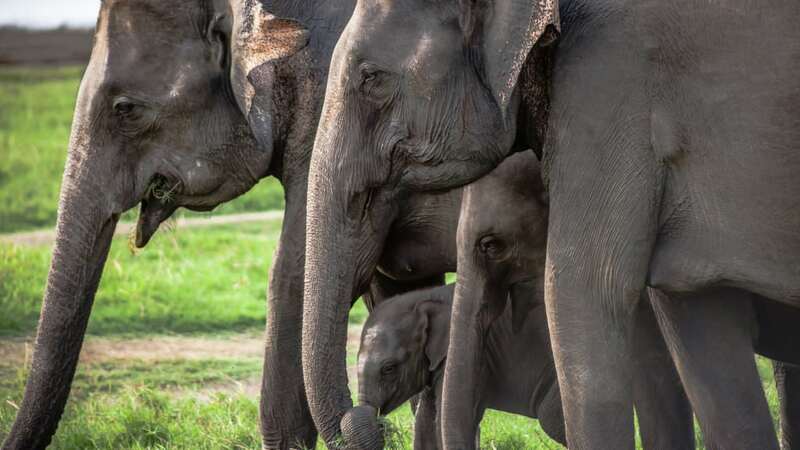 Whilst arranging tours once you arrive in Sri Lanka can sometimes prove a challenge outside of big cities, it is by no means impossible and there are plenty of local operators for you to track down. I arranged most my tours, such as tea-fields and Safari on arrival to a destination by chatting to local rickshaw or taxi drivers. That said, tourism is hotting up in Sri Lanka and in peak times supply and demand may not match each other so forward planning may well be the best option. Here are a few Viator tours you might want to book in advance so you don’t miss out on the best things in Sri Lanka. Take a six hour tour along the coast (in season) to spot Humpbacks, Blue and Killer whales alongside Dolphins. 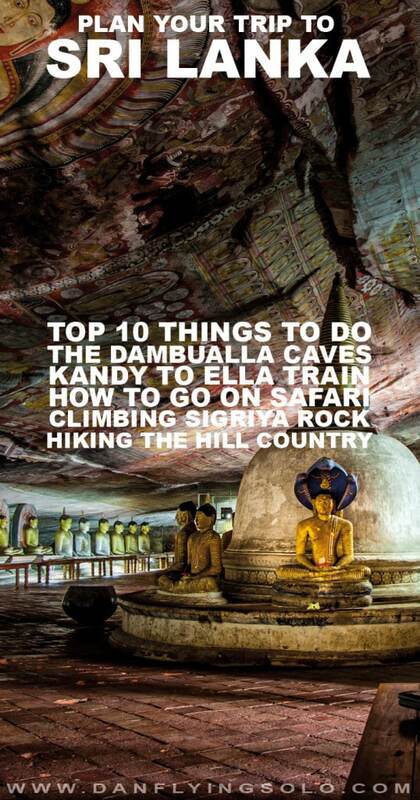 With transfer from Kandy see the famous citadel on top of Sigiriya and the beautifully intricate Dambulla caves. Make the most of your visit to Sri Lanka and take in all the famous sights of the country with a private driver. With transfers from Galle, enjoy a Jeep safari ride with Elephants, Leopards, Monkeys and so much in this national park. 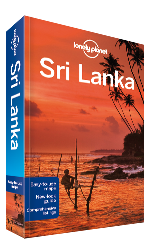 Sri Lanka has a few regional dialects and languages as well as two main ones classed as the official language. Learning the basics here though will likely get you by through and English is widely spoken. The weather in Sri Lanka is a mixed bag – with a usual temperature of 28c year round people expect a hot and sunny climate. However, the hill country is much colder so packing for two seasons is essential. It also has two monsoon seasons, affecting different parts of the island at different times so planning your itinerary first, before when to visit, might be advisable. Peak Season: As a rule of thumb December to the end of March is classed as peak season, it is dry and therfore all the treks in the hill country can usually be done. Shoulder Season: April and September IMO are the best times to visit as the visitor numbers decrease but the weather is usually generally good throughout. Off Season: During May to August the monsoon season hits the beaches of the south coast but the North and East still remain pretty dry – as you can see, the peak season and best time to visit will vary depending on what you want to do.